And here's the Australian Federation 1901 chart by - G.Stoney. and the New Moon. Mars is the Sports person - Mercury AKA - well Hermes archetype covers lots - Ball Bat trickery hands...so on Mars/Mercury - can be seen as cheating -12th house affairs unseen. And Jupiter stands for Justice. The Australian chart speaks for its-self. 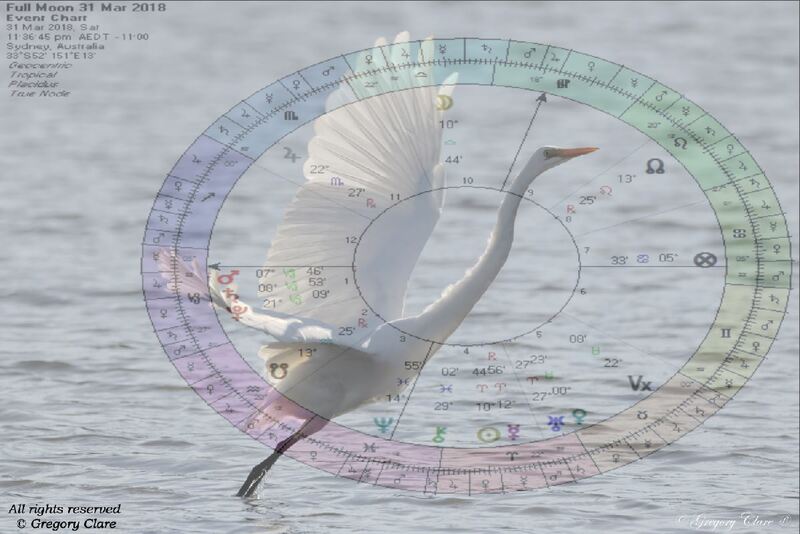 For those you are not familiar with astrology I will post on my website the full story later. Watch out for unexpected surprises that jump from the depths of the unknown as Neptune is on the IC, Australia - Mars is rising while outer-bounds. Saturn is laying on the Fixed star Facies, (the point of the Archer) you may not 'See' what's ahead. March 18th 2018, as the tolling bells ring - ding-dong!! at the midnight hour. 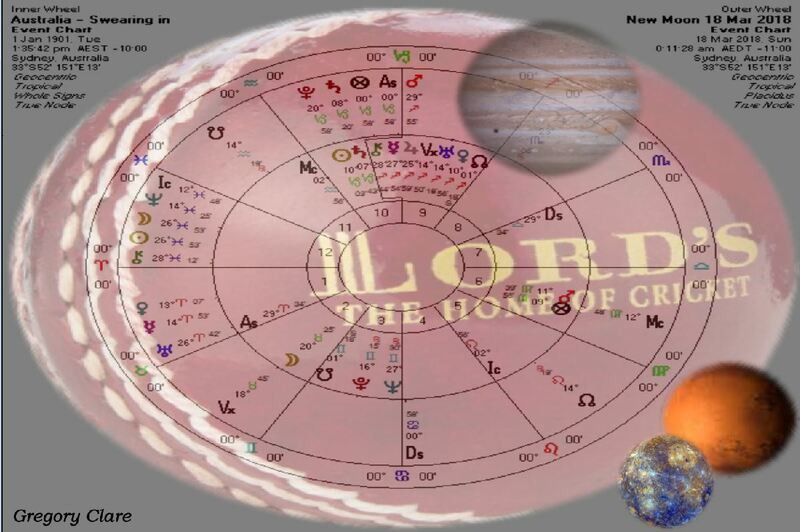 This coming lunation has the new moon on Venus exaltation degree, Mars is the Confine (Bound) Lord. Up periscope wet & watery navy. Something is hidden and reluctant to be seen. Mars marches onward toward Saturn, Saturn greets Mars, Saturn exalts Mars - indefatigableness !!! The Moon grows with fullness as Mercury turns to Loop the Sky, the trickster is Playing in Mars's domicile. Mars rising while outer-bounds. 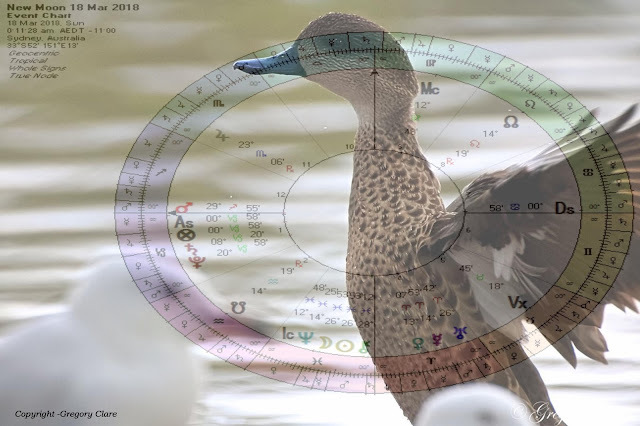 Saturn is laying on the Fixed star Facies, (the point of the Archer) you may not 'See' what's ahead. March 18th 2018, as the tolling bells ring - ding-dong!! at the midnight hour. This coming lunation has the new moon on Venus exaltation degree, Mars is the Confine (Bound) Lord. 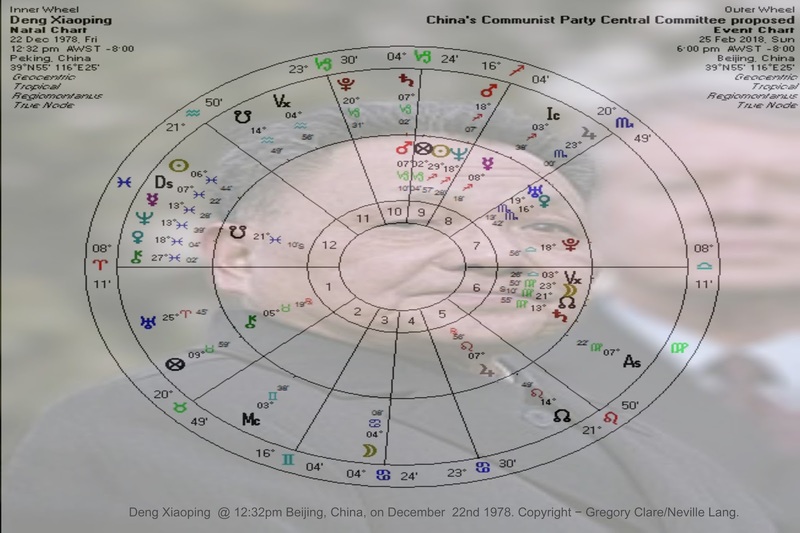 Beijing, China - February 25th, 2018, 6:00pm (CNN)"China's Communist Party (CCP) has proposed amending the country's constitution to allow President Xi Jinping to serve a third term in office. State-run news agency Xinhua said the Party will remove the provision that the President and Vice President "shall serve no more than two consecutive terms" from the constitution of the People's Republic of China. The proposed amendment will have to be ratified by China's rubber-stamp parliament -- the National People's Congress (NPC) -- in March. When it goes into effect, Xi will be free to serve indefinitely as China's head of state, the strongest indication yet he is intending to maintain power at the top beyond the two 5-year terms served by his predecessors for the past 20 years." The chart is set for when China's modern day economic Open Door Policy was announced by Deng Xiaoping @ 12:32pm Beijing, China, on December 22nd 1978. Copyright - Gregory Clare/Neville Lang. 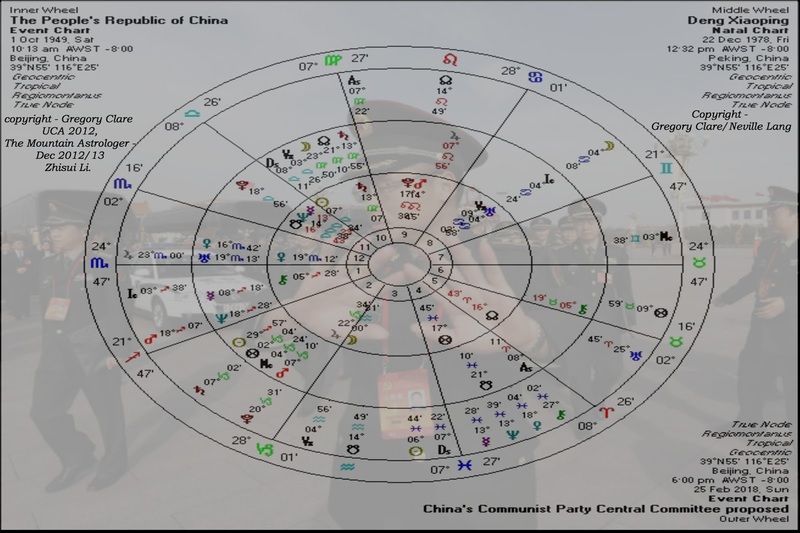 China's National People’s Congress: approximately -3:45pm on Sunday March 11th 2018, China’s legislature gave approval to sweeping changes to the constitutional amendments with 2,958 votes in favour, only two against, and three abstentions, formally removing term limits to enable Xi Jinping to stay as president beyond 2023. 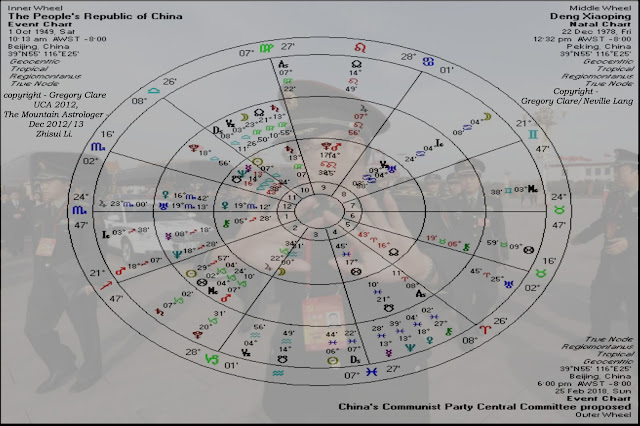 Aattached is a Tri-wheel featuring China natal -10:13am 1st Oct 1949, presented at UAC 2012 -Gregory Clare - Deng Xiaoping @ 12:32pm Beijing, China, on December 22nd 1978. Copyright - Gregory Clare/Neville Lang. Transit chart for Proposed amendments - 6:00pm Beijing - 25th Feb, 2018.